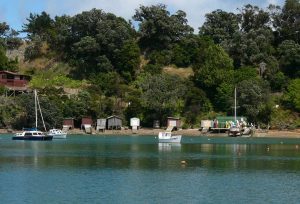 Waiheke residents now have a chance to say whether they want the island to have a council of its own. The Local Government Commission is holding public meetings on Wednesday 28 September at Waiheke Library from 11am to 4pm and at Morra Hall from 7pm, and on Thursday 29 September at Ostend War Memorial Hall from 11am to 4pm and from 7pm. 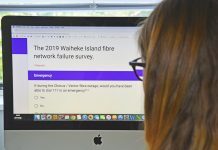 An online survey is also gathering feedback on Our Waiheke’s application for a unitary council on the island. Our Waiheke spokesperson John Meeuwsen says it is vital that people give their views at the public meetings or online. “It would be good to give the Local Government Commission no doubt about how the community feels about this idea. 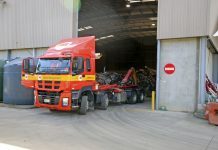 “The Auckland Council structures simply don’t lend themselves to cost effective, locally informed operations, so we need a council of our own,” he says. The Hauraki Gulf Islands District Plan will soon be reviewed and Mr Meeuwsen says it would be “dangerous” for this to be carried out by Auckland Council. The Super City council recently removed the Rural Urban Boundary protecting Waiheke’s rural land and green belts from development and protections within the District Plan could follow, he says. The Local Government Commission is considering two applications for parts of the Auckland Super City to break away from Auckland Council and form unitary councils. Northern Action Group in North Rodney filed the first application and Our Waiheke lodged the second breakaway bid. The Waiheke application is being treated as an “alternative application” to the North Rodney proposal, rather than being assessed as a separate application. The commission has decided all of the Auckland Council area is affected by the two applications. 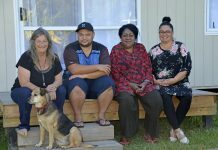 After seeking community input from the areas wanting to break away, the commission will gather feedback from the rest of the Auckland Council area. Once public feedback has been gathered, the Local Government Commissioners will notify the public about “practicable” options for local government in Auckland. Their options must include the status quo and they must present a preferred option. Further consultation with the public would be needed before any changes are made.